I hope this will be the most boring entry in the Burlingame Barbie Dream House saga. It’s about a storm drain, so you might want to curl up right now with your binky and take a short nap. 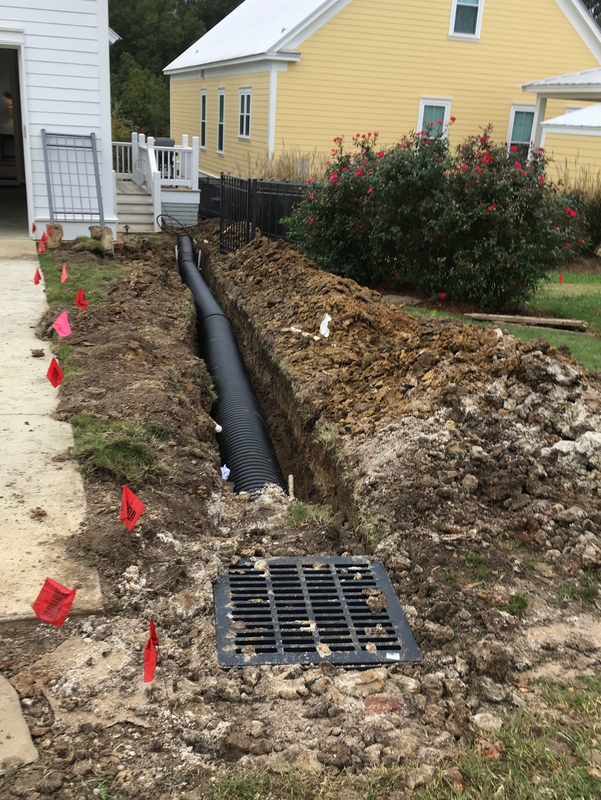 This drain does not have anything specifically to do with the building of our house except for the fact that it will go in our driveway when the carport is poured. 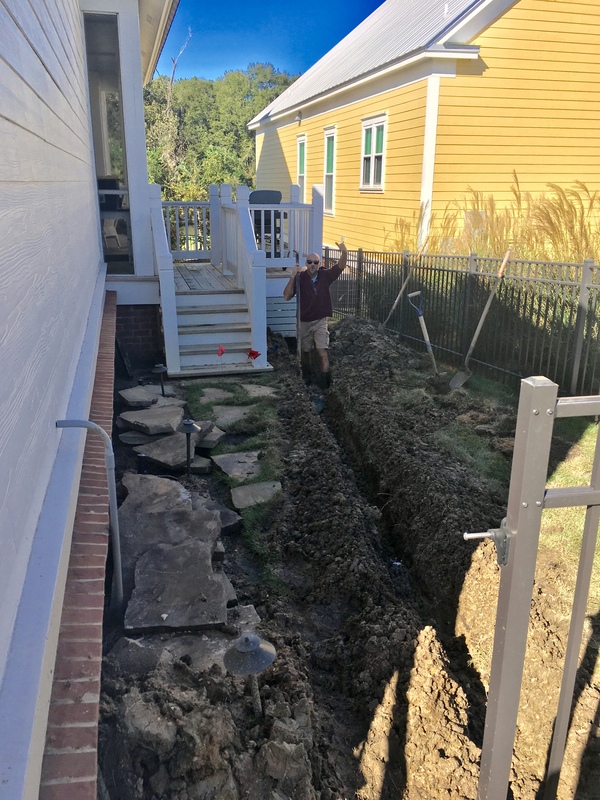 Plus it was something that really needed to be done for our adjacent neighbors who have terrible problem with water gushing between their homes and creating a mucky, mushy mesh in their side yard and in front sidewalk area. They’ve been wanting to solve the problem for months, but it was necessary to have our plans solidified so we could figure out where it could originate and exactly what path it would take to the street. (Are you asleep yet?) So…I’ve documented this exciting progression in photos. You’ll want to print these for your refrigerator art, I’m sure. The white house is Tracy & Carol, and the yellow house is Martha & Irl. 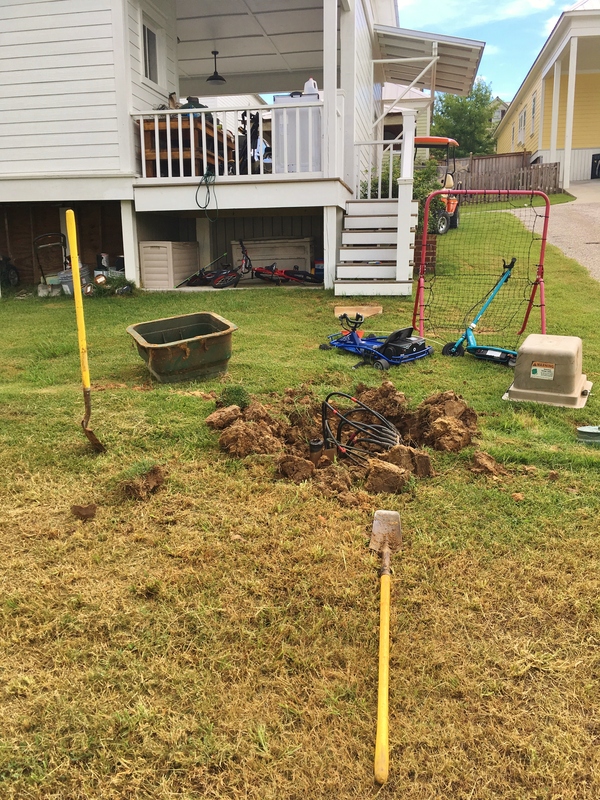 The drain is going through Tracy’s side yard so they had to dismantle part of his fence and dig a trench all the way to the street. Sorry dude! The guy we hired to dig this monster is named John. He is an OX in a man’s body! This guy can WORK! And I’m pretty sure his body fat is about 3%. Message me if you want his contact info. He can do lots of stuff! Jim’s brother Dave was visiting from Pennsylvania so he put his two cents in about the project. Glad I don’t have to do this! To give you some perspective on the location, here is our lot with the Pink House in the background. 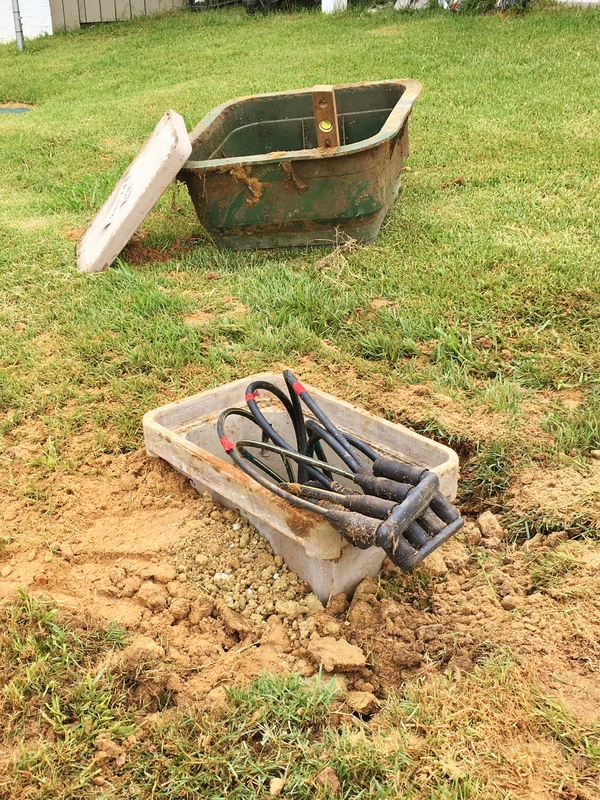 The work was slowed by some rain, but gradually enough progress was made to lay a 12″ pipe. 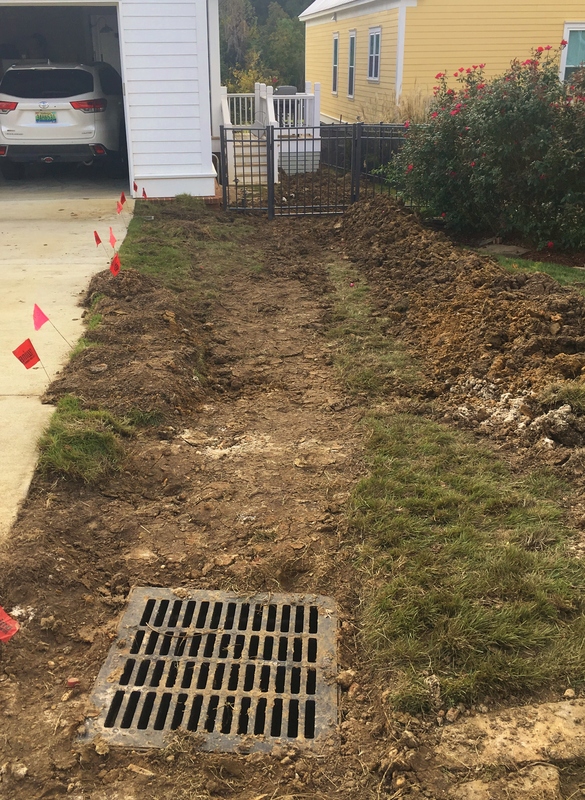 The drain will be surrounded by our driveway and the company who is pouring the concrete will contour the area to empty into the drain. It should be a great solution to all the water that pours down from the top of the hill. If you’re still awake, here is the last photo I took this morning. John will eventually finish laying the sod and fixing up Tracy’s yard. 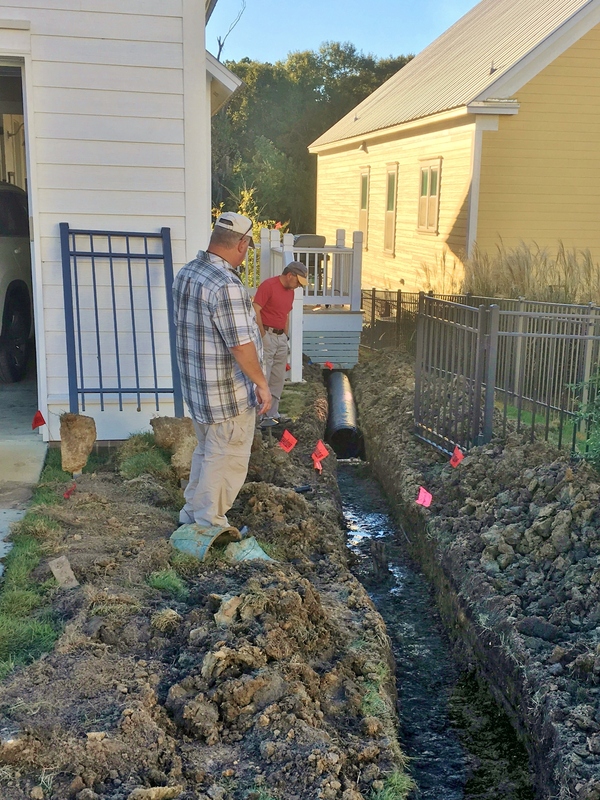 The pipe reaches the road in front of Irl and Tracy’s house. A plan is in order to run the pipe under the road where it will empty toward the lake. That will happen eventually, but for now we can proceed with our build as soon as all the plans are approved. Prolly not gonna be this big. Wake up! This entry is over. I’ll try to be more exciting in future posts. And MEXICO is going to pay for it! Unfortunately negotiations with Mexico fell through so Jim is going to have to foot the bill. Seriously, we are building a retaining wall on our lot before construction on the house begins. 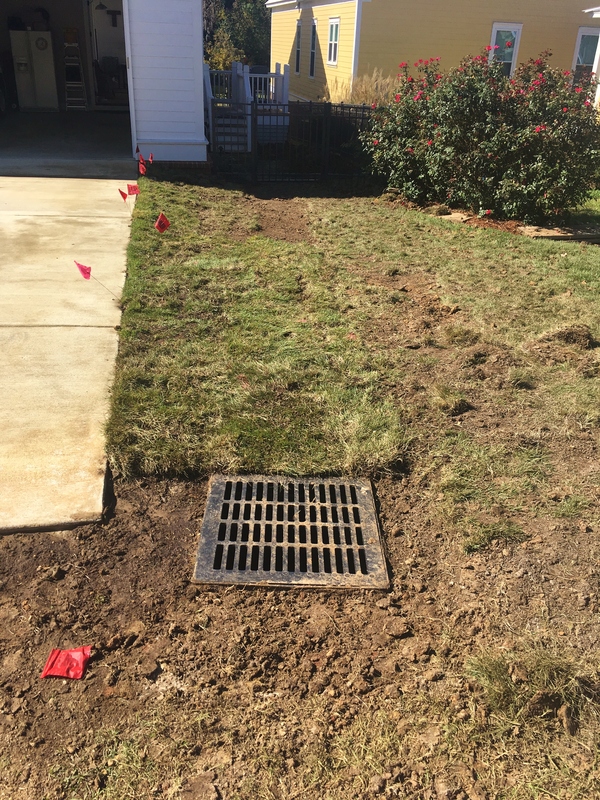 There are lots of reasons for it, but the most important is that it will level our yard and make it easier to manage water. Plus it will be pretty! Here are two pics of what we’re aiming for, but on a bigger scale. I just found these on the interwebs. 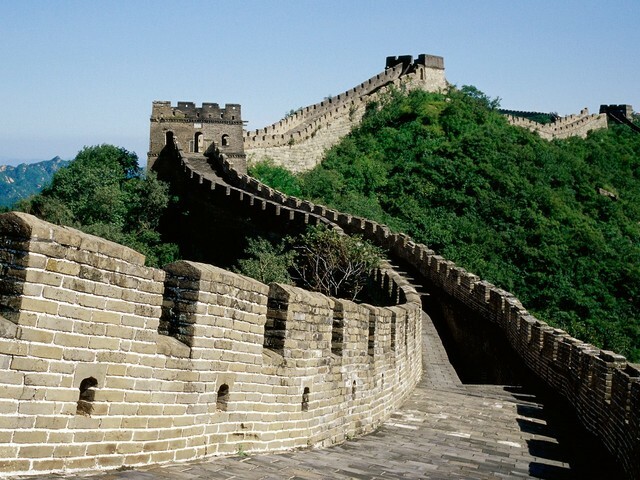 Instead of actual bricks/stone, we’ll use cinder blocks for stability and later cover them with stone facings. A little more like this but along two edges of the entire lot line. 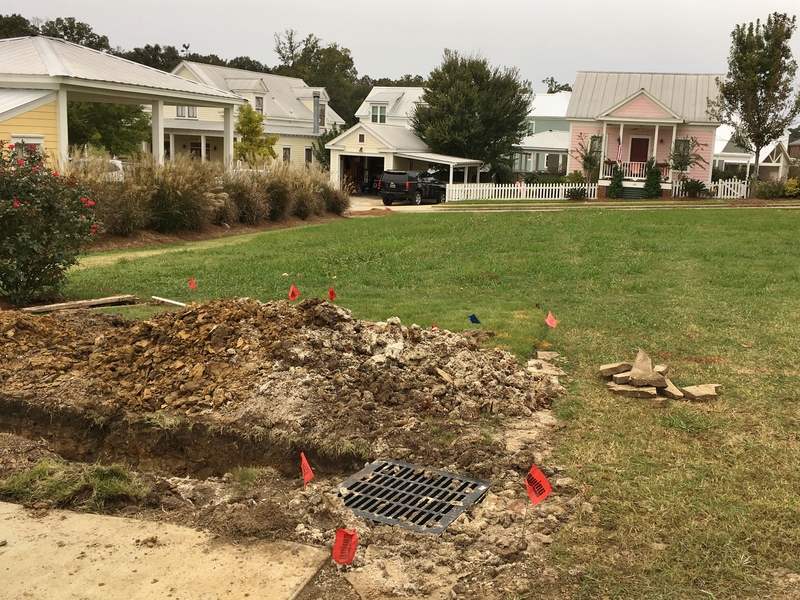 An added bonus will be that the water problem for our neighbors to the right and rear of us will be lessened. (but not solved) To fix the water flow for my down hill friends we’ll have to figure out a drain that will also be constructed during the leveling of the lot. See, I told you some of this stuff would be boring. Anyhoo…we are so ready to get started and are still waiting on approval from our ARB and Pike Road planning. This is taking waaay longer than I expected but meanwhile we are enjoying life in the Pink House. I did say some of this would be boring so here is the first installment. Our lot is small and weirdly-shaped in the back (more on that later). So we applied for a variance to build directly up to the property line. 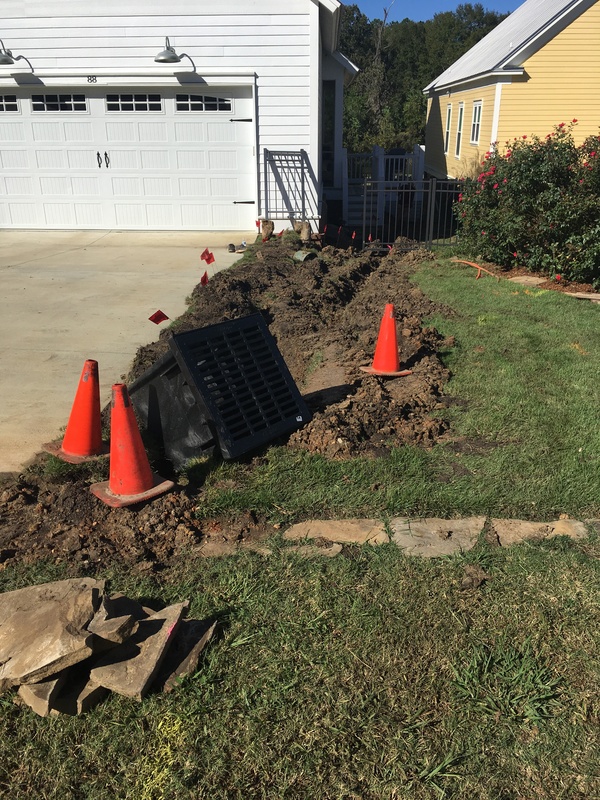 This will help in the construction of our carport and driveway. We had to get letters from all three of our contiguous neighbors stating that this plan does not infringe on the use of their properties. (Thanks Irl, Tracy & Mike!) And although this enables us to have enough room to access our carport, there was just one more major problem. 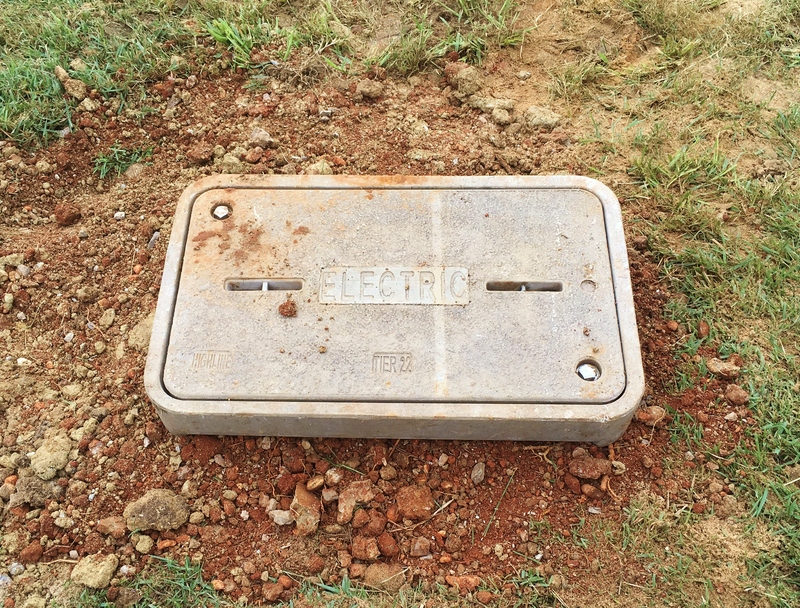 Those dang electric boxes that stick up from the ground! We all have them in our back yards here at The Waters. They’re ugly, of course, but that was not the problem for us. Our box sat in the place where we plan to pour our driveway. If we couldn’t have it sunk in the ground then we could not fit two cars in the carport. The rules do not allow us to move it from its location but we did find out that Alabama Power could sink it in the ground. We paid a pretty penny for this service, but we felt that if we couldn’t sink this thing, that we would likely have room for only one car and that was a game-changer. So three dudes with shovels came and spent a few hours lowering the box and Voila!